Not by way of Kiev: Why are Ukraine’s artists abandoning its cultural epicentre? 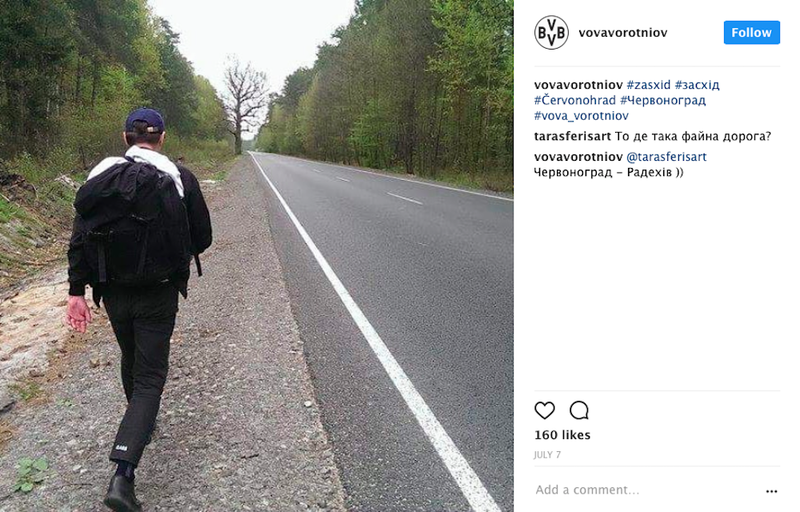 In April, Vova Vorotniov walked 1000km eastward from his hometown, the mining city of Chervonohrad in western Ukraine, to the Donbass. 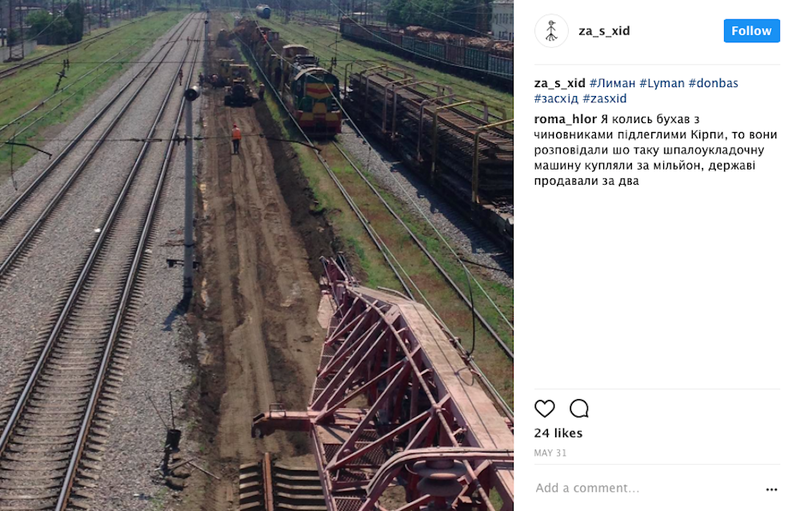 Traditionally the coal mining center of the Russian Empire and, later, the main industrial centre of the Soviet Union, much of the region, including the cities of Donetsk and Luhansk, has been the site of a war between the Ukrainian government and Russia-backed separatists since 2014. 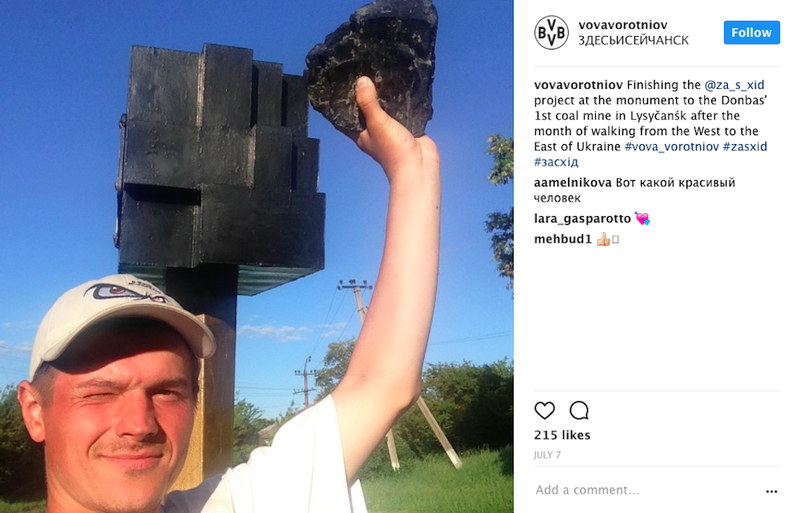 For his performance, Vorotniov carried a piece of coal from Chervonohrad through Ukraine's vast rural heartland, documenting the places he travelled through for his followers on Instagram every day for several months. When he arrived at his destination, the city of Lysychansk, just to the west of the frontline, he gifted the coal to a local history museum where it was catalogued and became part of their collection. In his trajectory towards the Donbass, Vorotniov's action speaks to a recent tendency among contemporary artists in Ukraine. What many see as a failure on the part of Kiev has led a generation of artists away from the centre towards the towns and villages outside of what many observers would see as the “Ukrainian art scene”. 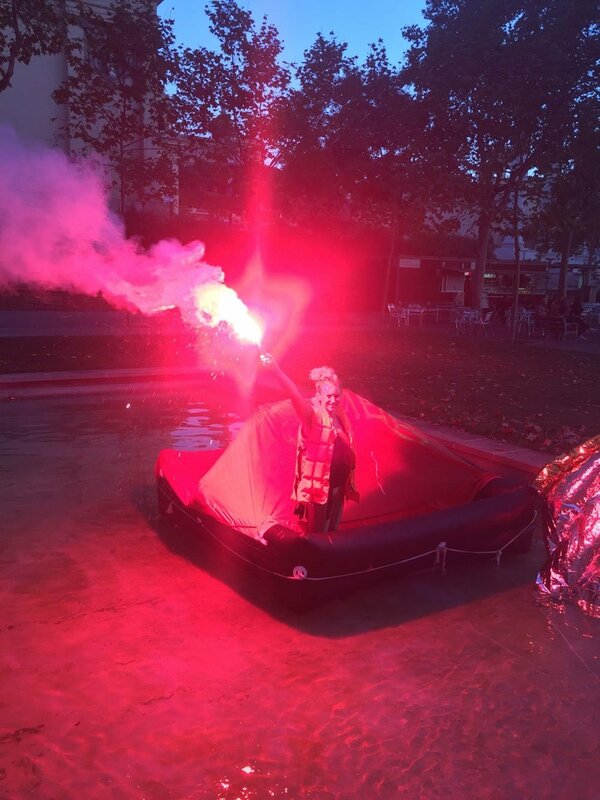 At a time in which artists increasingly use social media to connect with audiences, an established cosmopolitan art scene is no longer a prerequisite. At the same time, the introduction in June of visa-free travel for Ukrainians in the EU, hailed as the “fall of the paper curtain”, has increased opportunities for artists such as these to undertake residencies and find other possibilities for exchange. 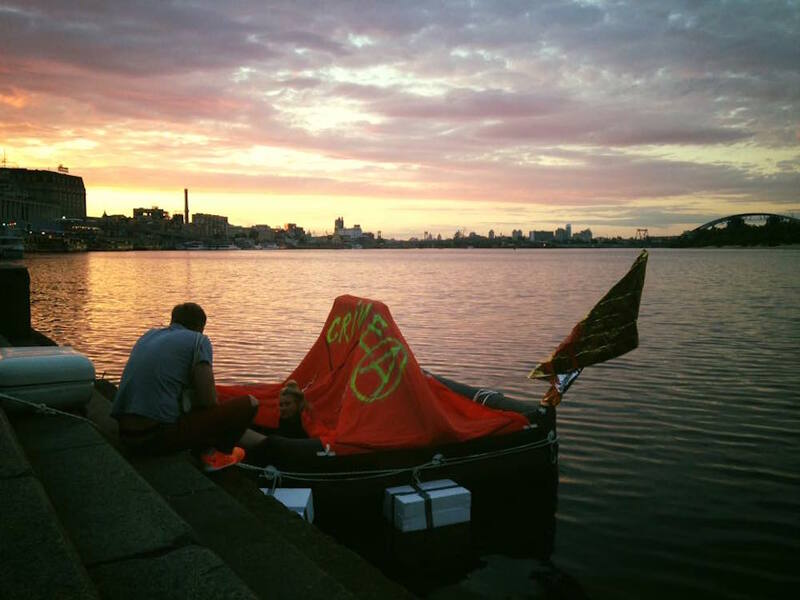 Earlier this year, Vorotniov, together with two other Ukrainian artists, Anton Lapov and Maria Kulikovska, had the chance to participate in SWAP: UK/Ukraine Residency Programme, organised by Liverpool Biennial. But it is within Ukraine itself, in the eastern cities beyond Kiev, that these artists are finding new ways to work outside of official structures. 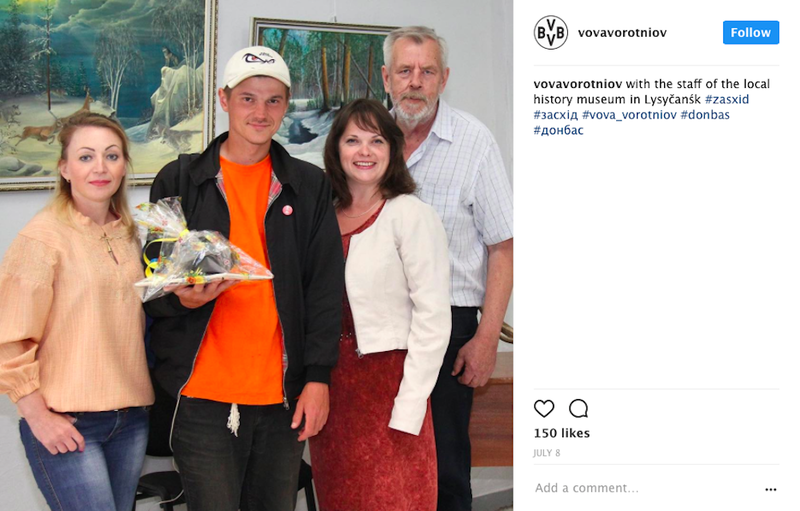 In the Donetsk and Luhansk regions prior to the outbreak of the fighting, a network of local history museums left over from Brezhnev times was used by young Ukrainian artists such as Vorotniov as alternative spaces to show contemporary art. In Luhansk, Anton Lapov presented a project in one of these museums in 2013. Back then, his aim had been to develop a local artistic community and create a platform for local artists in a city without a contemporary art gallery. He planned to start a residency programme to bring artists from other cities in Ukraine and something really began to emerge, he says. But with the outbreak of the conflict he was forced to leave the city. His recent work continues to develop alternative networks of artistic production, finding a means of both working within and reflecting on a difficult context. His most recent project, Golden Coal, is a good example of this; produced in collaboration with Evgeny Koroletov, Golden Coal is a zine about the underground youth culture of Luhansk and Donetsk, dedicated to those who are unable to leave, among whom, he says, a state of nihilism and anarchism is very common. The zine positions itself as an informal platform for interaction, a channel of direct speech from different representatives of youth culture. It is run from Kiev but circulated through the territories via DIY networks — often literally passed hand-to-hand. Golden Coal gives a voice to those who were unable to move out of the separatist-controlled territories when the war started; networks such as these also speak to those who are unable to return. The experience of displacement is something felt strongly by these artists, none more so than Maria Kulikovska. A Crimean artist, Kulikovska talks about the experience of living outside the disputed region, a discourse rarely represented in Ukrainian art. In 2014, when the region was annexed by Russia, Kulikovska was in Sweden and remembers the experience of becoming a “non-person” in one day. Registered in Crimea with a Ukrainian passport, she has since been unable to return home. Over a long period, her work has questioned her position as 'a Crimean artist who does not exist', dealing overtly with questions of borders, belonging and diaspora. The annexation of Crimea has been widely condemned by western countries who reject it as a violation of international law. In Russia, the move is seen as a “return”, following a a military occupation of the peninsula and a referendum in which 97% allegedly voted in favour of leaving Ukraine. Kulikovska strongly objects to what she sees as an occupation. During the opening of Manifesta 10 in St Petersburg in 2014, she wrapped herself in the Ukrainian flag and lay on the stairs in protest. Her recent work further develops ideas of nationalism in relation to the position of Ukraine between Europe and Russia. 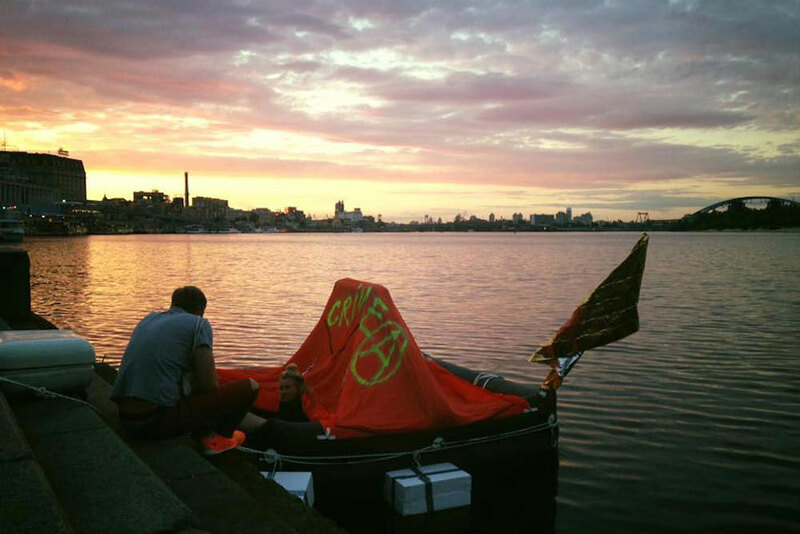 Her performance Raft CrimeA reflected on the sense of belonging to a territory suspended between two opposing forces; starting in Kiev, she cast herself off onto the Dnieper river on a raft, travelling south to Odessa. She was arrested in Vilkovo, on the Romanian border. 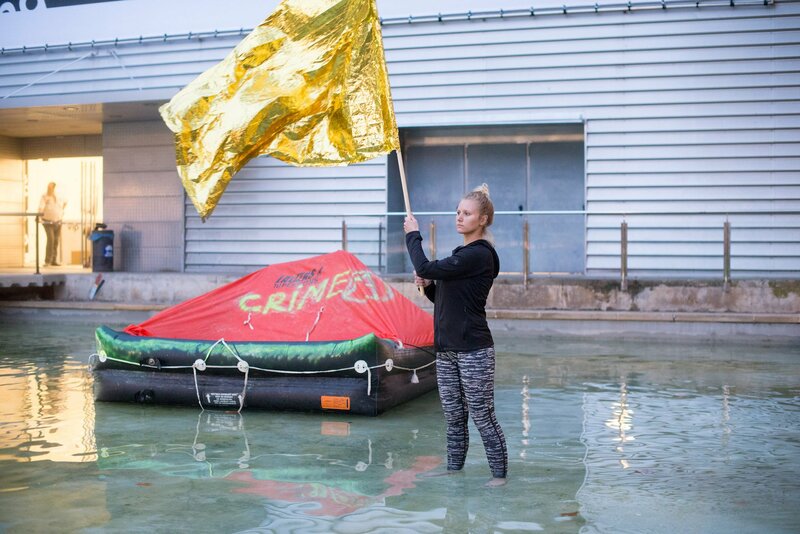 In October last year, Kulikovska repeated Raft CrimeA in Barcelona, transporting her 'territory' far beyond its geographical location to highlight the absurdity of national borders and the meaning of the spaces they contain. In its staging in Europe, Raft CrimeA opens up important questions around Ukraine's troubled relationship to the continent. In the Western European imagination, Ukraine is seen as part of Eastern Europe, a term that has come to define those countries around Russia following the fall of the Soviet Union. These artists, however, reject this, questioning the motives behind the characterisation. Vorotniov feels he is first and foremost a citizen of Europe. In the time of the Soviet Union, Ukrainians were taught to understand themselves as part of the west, the Communist west; the east for them represents the Islamic world and Asia. As they see it, any opposition between Ukraine and the West is artificial. The perception of Ukrainians as somehow 'other' to Europe sets up a binary they seek to redress. On the other side of the binary, the artists seek to distance themselves from Russia. As Vorotniov says, the perception of Ukraine as culturally aligned with Russia undermines the serious ruptures and ongoing conflicts between the two countries. Going beyond a Russia-centric perspective, they seek to be understood as a separate group of people with their own distinct perspectives and cultural history. This burgeoning cultural identity and mentality in Ukraine is not anti-Russia, but “Russia-less”, making efforts to establish a place for Ukraine in global society without reference to the powers it sits between. At the same time, the position these artists seek must be one that does not rest on a certain instrumentalisation prevalent in international interest in Ukraine since 2014. As Lapov says, the recent attention focused on Ukraine on a political and cultural level has produced a request for exotic display, in which international exhibitions of Ukrainian contemporary art have been complicit. As Kulikovska states: “I don't like that we are outside the global context, and represented only when we have some revolution or something. We discuss global questions.” In different ways, the work of these artists represents a shift towards self-organised, alternative artistic production among the youth of Ukraine, finding spaces beyond the centralised institutions and dominant narratives they have inherited to forge their own future.